By installing a new type of wall outlet, you can rid your digital home of unsightly, clutter-creating AC adapters once and for all. In 2015, people are as likely to charge a digital device as they are to plug in a table lamp or a hair dryer. 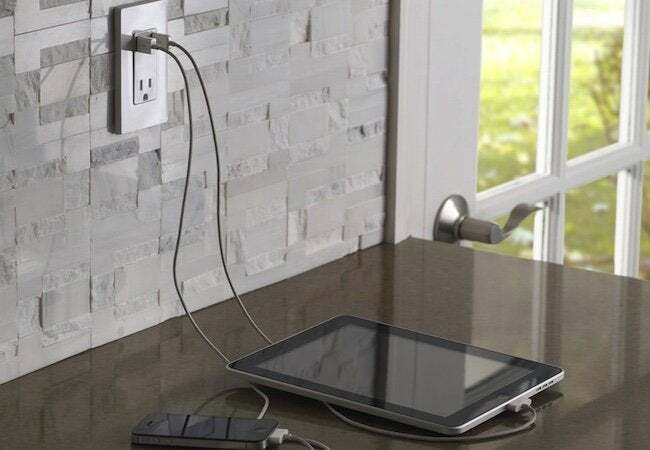 But while lighting and appliances plug right into the wall, today’s tablets and smartphones charge only via USB cable. That’s why AC adapters are so regrettably ubiquitous these days. Awkward and unsightly though they may be, adapters serve the crucial role of negotiating the connection between USB cords and standard wall outlets. They are, in effect, middlemen. And as with any middlemen, we merely put up with them. Here’s the best news you’ll hear all day: You don’t need to bother with AC adapters anymore! 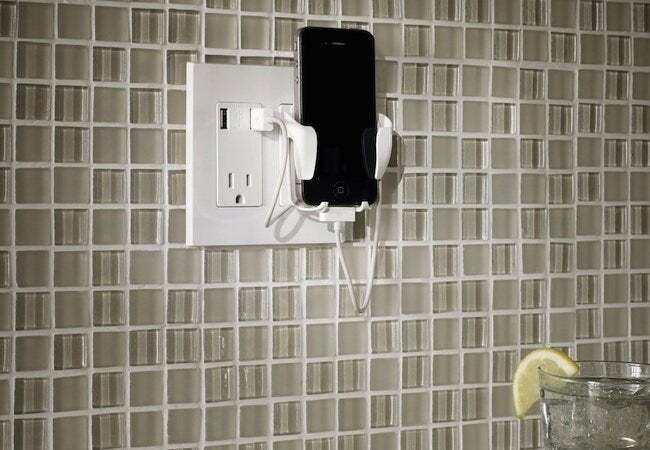 Thanks to a new crop of receptacles, wall outlets are finally in sync with the way we live now. To get in step with the times, look no further than the Leviton High Speed USB Charger. It fits into a standard outlet box and sits behind a standard faceplate, yet it offers not only a three-prong receptacle but also a pair of built-in USB ports. Some of this product’s advantages are obvious. With adapters out of the way, you can enjoy streamlined, clutter-free, and convenient charging stations. Other benefits are subtler, though equally compelling. Controlled by a smart chip, the USB ports use advanced technology to recognize the charging needs of the device you’ve plugged in and then output the current that’s optimal for charging the device in the least amount of time. You’ll be able to get back to using your device without having to wait around endlessly for it to power up. Thanks to its thoughtful design, the Leviton High Speed USB Charger easily replaces an existing receptacle. Plus, for convenience, the product is back- and side-wired so that it can accommodate a diverse range of wiring situations. 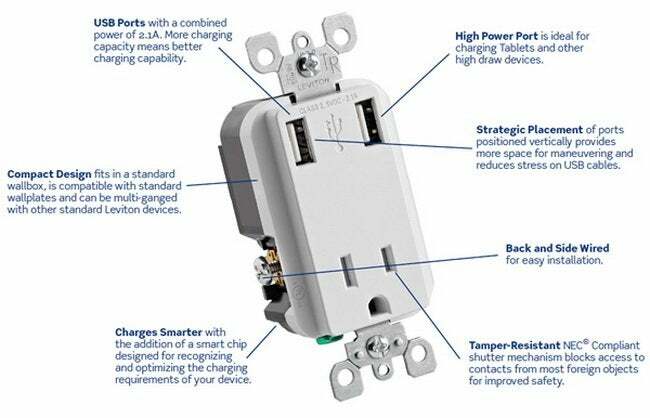 Compliant with National Electrical Code requirements for tamper resistance, the Leviton model is also, unlike some competing products, UL-listed. That means it meets nationally recognized standards for safety. You can install it in your home with confidence.